And your day will taste better! Our products will make your day better! Behind all of our activities lie enthusiasm and commitment. The fruits and herbs we use in our products are carefully selected by our experienced pickers who have been introducing us to the mysterious flavours of nature for generations. By following its voice, we can discover the core values we strive to cultivate, with future generations in mind. It’s more than just tradition. Fruit we use come from trusted suppliers. This is how we know our consumers receive best fruit with unique flavour. Additionally, our jams and preserves do not contain guar gum! Pleasure. It’s in your nature. It’s very simple: open a bottle of our syrup! 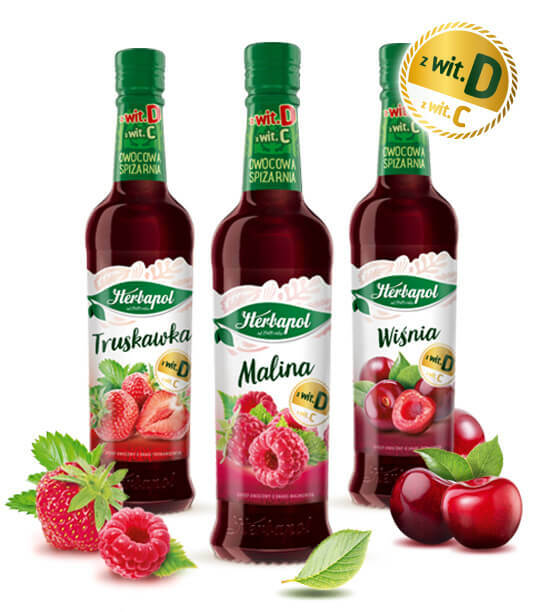 Herbapol syrups – now with vitamin D! Herbapol syrups now have an additional ingredent: vitamin D. The „sunshine” vitamin will increase the pleasure coming from using our syrups! Meet our BIO syrups! They contain only two ingredients, but are full of raspberry and chokeberry flavours! Moreover, there are certified by Ekogwarancja organization! Our Tea Garden line has gained two new products: Strawberry & Wild Strawberry Ginger with Orange and Quince. Both are exceptional combinations that will delight yourself and your close ones! Our jam products have gained new designes and two new flavours: Forest fruit and Gooseberry jams. Jam products from Herbapol are a source pleasure for every member of your family! 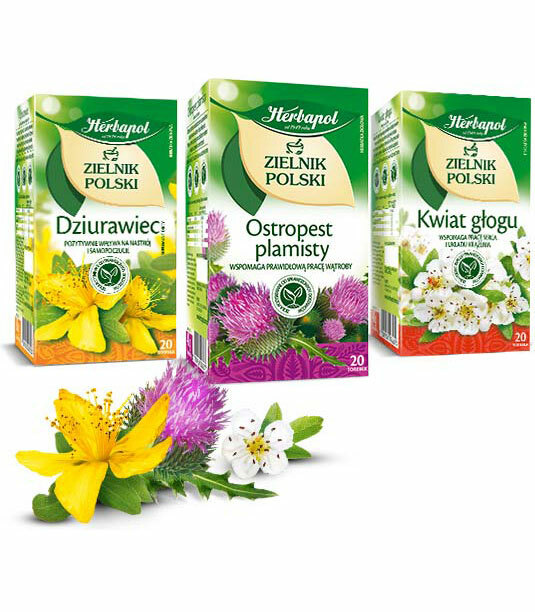 Three new products join the Polish Herbarium’s range: St John’s wort, Milk thistle and Hawthorn flower. Each of them contains carefully selected and beneficial herbs provided by reliable suppliers. 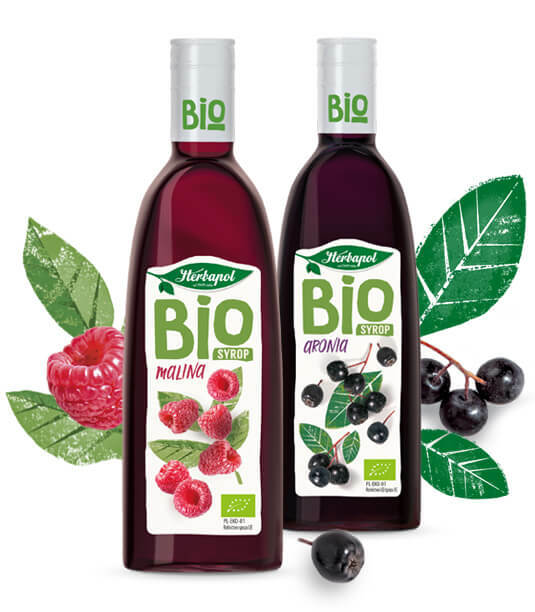 Polish Herbarium – the Essence of Health is a liquid form of medicinal herbs and fruits aimed at people committed to healthy lifestyle. Single portion of the carefully selected ingredients allows us to take advantage of beneficial herbs and fruits supplied in a bottle. 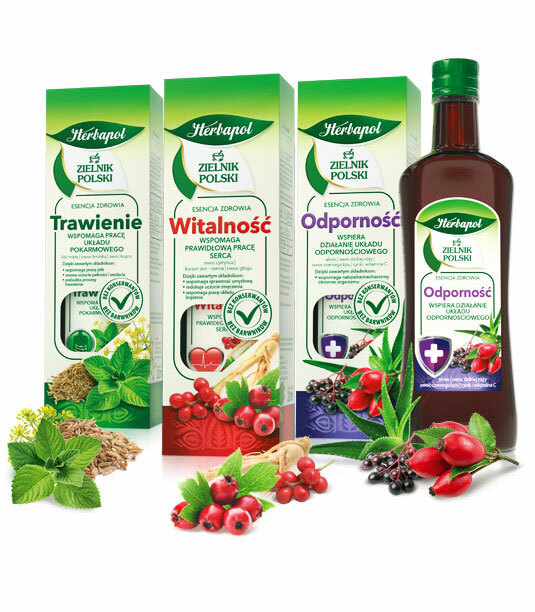 Polish Herbarium – the Essence of Health if free from colourants and preservatives. Available in three variants: Digestion, Immunity, Vitality. Green-Up Energy Drinks have gained a new, attractive can design. It refers to long-lasting energy boost and refreshment, brought by natural caffeine, green tea and tea leaves. 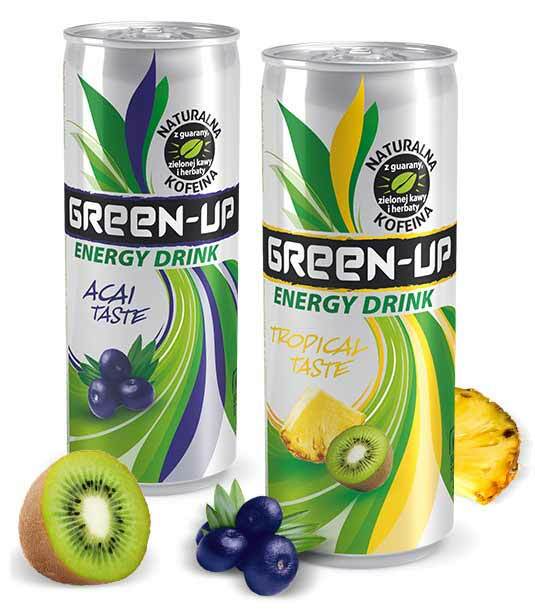 Green-Up is available in four flavours: Acai, Tropical, Cranberry and Pomegranate. 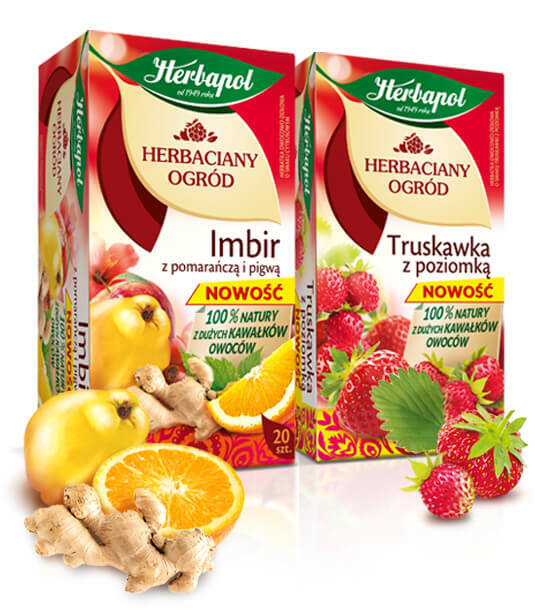 „Herbapol-Lublin”’s products have been recognized in ʺBest Product – Consumers’ Choice 2019” ranking, organized on behalf of Wiadomości Handlowe magazine’s publisher. We are pleased to announce that our company has yet again been recognized in this prestigious ranking! For the 12th time, Polish companies with most dynamic growth have been named.